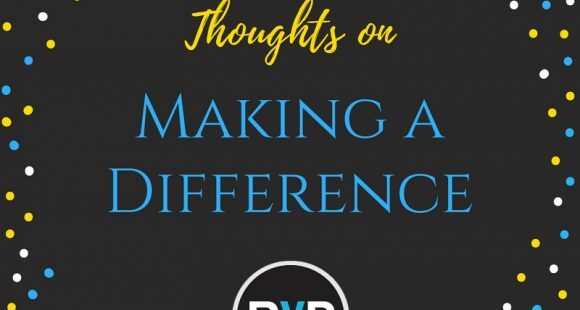 Thoughts on Making a Difference | Rochester Young Professionals, Inc.
As an optimist, I like to think that everyone has a desire to make a difference in the world. As a realist/pragmatist, I recognize that most people don’t wake up and ask themselves, “How am I going to make a difference today?” But… what if everyone did? Can you imagine what a day would be like if everyone consciously thought how about how they were going to make a difference and then went out and put those thoughts into action? It would be amazing! 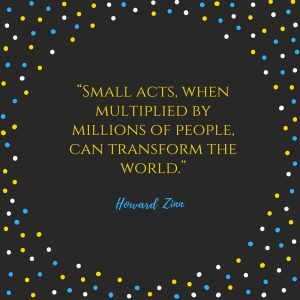 Start small and ask yourself what can I do today to make a difference in my own home? What could I do to make a difference for someone at work? Be mindful and take two minutes when you wake up or are brushing your teeth to think about what you can do. Starting your day with positive thoughts for others also brightens your own day. Next, turn thoughts into actions. Notice, none of these things really requires a lot of effort. They don’t cost money. You can even take it up another level. The lists are endless, but the point is that you don’t need to have a lot of money, or even a lot of time, in order to do something that will make a difference. You can have a positive impact just by being kind, engaging with others, and practicing mindfulness.